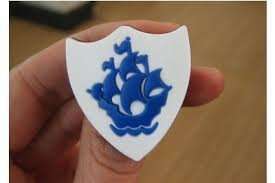 A Blue Peter badge is a special award given to people who appear on the show, or in recognition of achievement. Applicants must be 6 to 15 years old. Badge owners can gain free entry into over 200 Blue Peter Badge Attractions around the country such as theme parks, zoos and castles. To apply for a Blue Peter badge, please send us a letter of at least 50 words in length, explaining which Blue Peter badge you are applying for and why you deserve to be awarded one. If you would like to show us something that you have created, you can either send us a website link or include photos of your creation with your letter. Please also include your full name, date of birth, home postal address and postcode (not your school address). If you are sending a group application, please make sure you supply the full name, home address and date of birth of each person in the group. When you have a Blue Peter badge, you will need to contact us to get your Blue Peter Badge Card. I want one but i don't think they will look at my application since i turned 30 this year. Yeah I'm 35 and intend to complain as the offer is ageist. Back in 1986 I dutifully send my shoe box of crush aluminum cans to help them reach their target and not even a sniffter of a badge.